For those of you who have been fans of Adelaida for the past several years, or perhaps have older Adelaida wines in your cellar, you may have noticed that our label has had different “faces” throughout time. Preceding the faces, or the very existence of Adelaida wine, there was the thriving town of Adelaida, the HMR Vineyard, and the Van Steenwyk family who spent summers on Hilltop Ranch (the walnut ranch where the winery now exists). Last year, as we approached the 35th anniversary of the Adelaida brand and celebrated the new Adelaida District AVA, we started to reflect on our history, our story, and our future. We realized that although the faces are a part of Adelaida’s past, they do not represent who we are today, our rich history, the beauty of our land, and our amazing family ownership. The HMR label celebrates the history of our HMR Estate Vineyard. The traditional Burgundian packaging pays tribute to the wines produced from this historic vineyard. Pinot Noir was the first varietal planted on this vineyard in 1964 (oldest producing Pinot Noir on the Central Coast of California) and Chardonnay followed in the early 1970s. 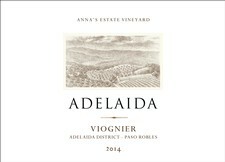 Moving forward, this label will be seen on our Burgundian family of wines from the HMR Vineyard. The Signature Series label, which represents our best barrel selections and small lot wines, speaks to our family ownership and honors our owner/author Elizabeth Van Steenwyk. The simple, left justified text on the label reads like a page in a book. Elizabeth’s beautiful signature is just beneath the text with her “A is for Adelaida” stamp of approval. 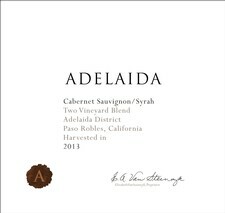 “The new label tells the story of Adelaida. Like a short story that takes you beyond the surface, it honors this special place and its rich history, yet shows anticipation for new beginnings,” said Van Steenwyk. We invite you to watch The Story of Adelaida, a newly released video, which personifies the history, the land and our estate wines. The video honors generations past while celebrating the dedication of the people who help grow and make the wines. We are extremely excited to launch our new labels and look forward to telling you more about them as you visit our new Hospitality Center!